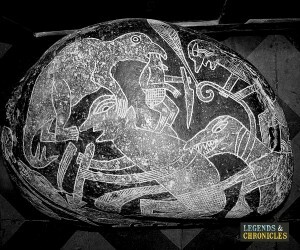 The Ica Stones are a collection of what are believed to be ancient Peruvian artifacts that depict man and dinosaurs, extinct creatures like prehistoric fish, ancient world maps and what could be described as complex medical procedures. The stones are the source of much mystery due to their engravings and pose many questions if authentic about our version of history, particularly the existence of dinosaurs and humans and at what point we or they existed. The main issue many scientists have with the Ica Stones is that the presumed date of the stones is unknown due to the near impossibility of dating non organic material. Determining when and what period they were engraved or even when the rocks were formed is almost impossible to accurately predict. What we do know about the Ica Stones is that most of them are owned by a Dr Javier Cabrera Darquea who first encountered one of the stones around age forty. Intrigued by the engravings on the rock, Dr Cabrera enquired about them, subsequently purchasing a collection that now stands at what is thought to be more than 10,000. 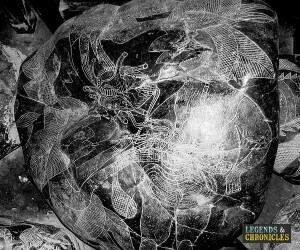 Most definitely a topic worthy of our ancient artifacts section, the Ica Stones are an unsolved mystery that have garnered opinions from experts, the media and historians alike. We intend to delve more deeply into the shrouded mystery of the Ica Stones and look at the key points that surround these ancient stone artifacts. The Ica Stones are striking looking objects, they are andesite stone, which is volcanic rock and gives them a dark earthy colour and is similar in tone to light charcoal. In contrast the engravings found on the Ica Stones are light, almost white, which gives an excellent contrast to the engravings. The engravings themselves are typically shallow cuts in the outer surface of the stones. The stones themselves come in a range of sizes, from small pebbles to much large rocks that would be impossible for one human to move on their own. Where were the Ica Stones found? The Ica Stones where found in Ica in Peru, which is of course where they inherit their name from. Ica itself is the capital of the region which is located in south west Peru. The initial stones themselves from Dr Cabrera collection were said to have been found in a cave by the farmer who found them. Later Dr Cabrera is reported to have bought more stones from two collectors who owned around three hundred stones. Even more stones traded hands when Cabrera started buying more stones off another local farmer called Basilio Uschuya. Dr Cabrera has a museum in Peru that displays the stones, believing that the stones should be on display as they show links to what could be the first Peruvian civilisation. The collection to date is reported to house over 10,000 stones and is open to the public. The engraved depictions on the stones are what all the discussion is about with the Ica Stones, and the topics covered in the engravings are certainly diverse and worthy of some attention. Many of the Ica Stones depict medical operations, often complex procedures that would probably not have been attempted until recent times. Other stones depict human and dinosaurs interacting, and dinosaurs on their own. What this essentially means is that if these engravings were from ancient times, it means the engraver saw the dinosaurs with their own eyes, currently changing our considered version of history. Some of the other common engraving themes involve maps of the continents of earth including continents that don’t exist today, and engravings of astronomers and astrological figures. If the Ica Stones are indeed authentic then it proves that either dinosaurs existed alongside mankind. This in turn means one of two things, that dinosaurs did not become extinct at the time we believe they did, or that humans existed long before we thought they did. Of course both these notions fall prey to the fact that there is no organic time dated proof to show that either of these scenarios are true. There are multiple points that cast doubt on the genuine authenticity of the Ica Stones, from the inability to effectively date the stones, to key points about the story of their discovery. We plan to list various points pertaining to the Ica Stones that should shed some light on the possibility that the stones are authentic. The first point that is short on information is the location where the first Ica Stones were found. When Dr Cabrera bought the first stones off the farmer that found them, the farmer stated that he found them in a cave and in river beds. However the location of this cave or riverbed have never been discussed or investigated, and with the large collection Dr Cabrera owns maybe we would have expected this cave or the river to have been found by now. One of the most problematic part of the mystery of the stones is there inability to be dated. Without organic matter to correctly draw a carbon date from, it’s impossible to give the stones a date of creation. Even if the rocks were able to be accurately dated, then we would also have the issue of determining when the engravings were made. One factor that is often discussed is the hardness of the andesite rock that the engravings are made on. It would have been difficult to effectively engrave these stones with less advanced tools, and if it was possible the engravings are very intricate and detailed for basic tools. That does not make engraving them with more basic tool impossible however. The Ica Stones have garnered a lot of attention, the combination of detailed depictions of medical procedures and ancient species, and the mystery of their origin have not only interested historians but also the media. In certain interviews one of the providers of the stones to Dr Cabrera, the farmer Basilio Uschuya actually confessed that the Ica Stones were fakes that he had fabricated. However when you realise that in Peru the punishment for selling ancient artifacts involves jail, then you can realise that when Uschuya confessed this it was because the local police where investigating the claims. In actual fact in a later interview he claimed the fear of punishment was his reason to declare the stones as frauds. The Ica Stones are just intriguing, their unknown origin, their un-datability and the beauty of hte engravings just make them superb ancient artifacts. Whether you believe the Ica Stones hold the key to life in ancient times or are simply a hoax, is for you to decide, you cannot however dispute how much intrigue and fascination the Ica Stones have developed.